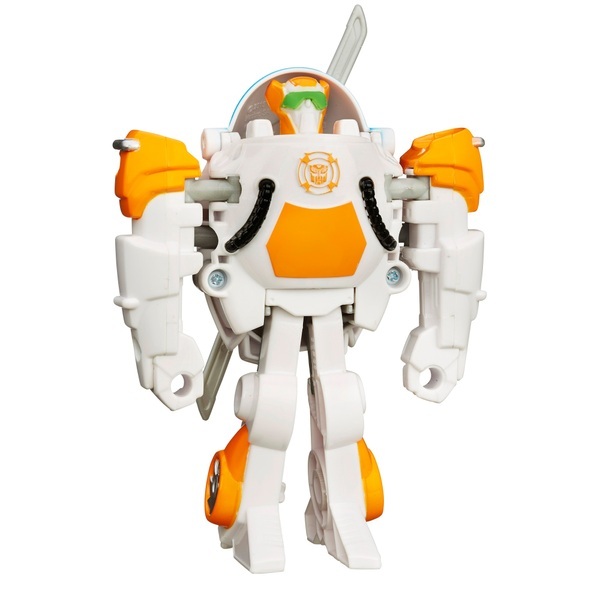 Your little hero will save the day with this Rescue Bots hero! It's easy for little hands to convert this Playskool Heroes Transformers Rescue Bots Blades the Flight-Bot Figure from fierce robot warrior mode to rescue helicopter mode. Then fly this Blades the Flight-Bot jet to the scene of the accident! Little ones will love converting this robot warrior back and forth for awesome Transformers adventures!